Armed robbers have reportedly stolen €10 million from an Austrian Airlines passenger plane preparing to take off at the airport in Tirana, the capital of Albania; passengers and crew members were not injured. According to a spokesman for the Austrian Airlines, three Iranian citizens have been stuck in Vienna airport transit zone for the third day unable to leave for the United States as a result of the US entry ban on citizens of seven Muslim-majority countries, including Iran. 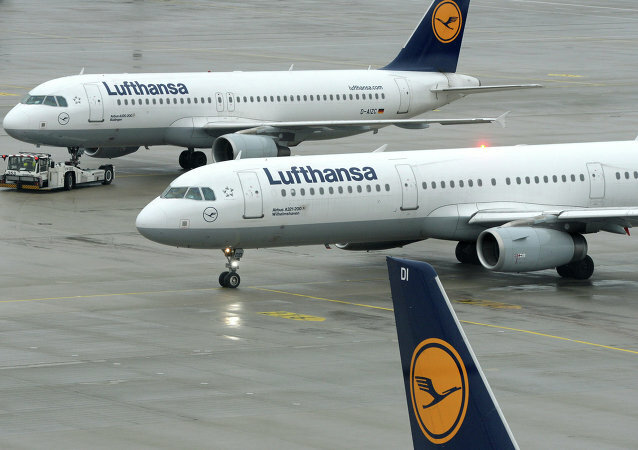 German Lufthansa airline group lost around 232 million euros ($250 million) due to strikes last year, equaling nearly one quarter of the company's operating profit that reached $1.01 billion, the Group said Thursday. Russian flagship carrier Aeroflot has decided to turn back flight number 504 which was bound for Tel Aviv amid deteriorating security situation in Israel, a representative of the company said Tuesday.